Amir Khan cannot be criticised for taking a fight with Terence Crawford, but a British battle with Kell Brook has been plunged into fresh doubt, says Eddie Hearn. Khan will hold a press conference on Tuesday to announce his next fight, which is expected to be against WBO welterweight champion Terence Crawford. After signing Khan to a promotional deal, Hearn had hoped to secure a showdown with Brook, but admits he has decided to battle another of the sport's top fighters in Crawford, who has won titles in three weight divisions. "I can't tell you I'm over the moon, because I wanted Amir Khan to fight Kell Brook," Hearn told Sky Sports News. "We talked about money in the last conversation. There was more money to fight Kell Brook than there was to fight Terence Crawford. You also can't criticise Amir, because he's fighting pound-for-pound one of the top fighters in world boxing and it's a very tough fight. "It's a tougher fight than Kell Brook, so you can't accuse him of ducking, but unfortunately if you ask people watching or at home who they would prefer to see him fight, of course the fight is Kell Brook." 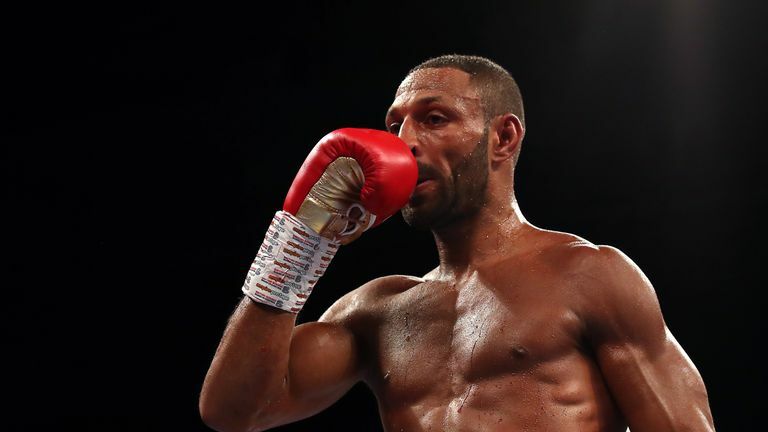 Brook had admitted it was 'now or never' for a deal with Khan to be agreed after the Sheffield man ended the year with a points victory over Michael Zerafa. Hearn has refused to completely rule out Brook-Khan for the future, although he admits it is hard to be optimistic about the fight eventually being staged. "I always said that it was now or never. I stand by that," said Hearn. "Listen, if he produces a good performance and Kell Brook continues to win. Amir could win against Terence Crawford. Right now, that fight doesn't look good, and I think it's a shame, because I've wanted it for five or six years. "He's massively up against it, but right now, that fight doesn't look good, and I think it's a shame, because I've wanted it for five or six years. When we brought Amir to the Matchroom and Sky stable, that was where we were all moving. "An opportunity came up for him to fight for the world title. In one respect, you have to take your hat off to him, in the other respect you have to say, we didn't really get the one we wanted, did we. "Press conference will be tomorrow and then one in New York on Thursday, and it's a good fight. He's trying to be a world champion again. In many aspects, you have to congratulate him and admire him. Unfortunately I feel like he hasn't given the British public the fight that we really wanted to see."